WideAwake.org is committed to help meet the physical needs of those in need in the developing world. Hunger remains a true evil and physical afflictions still cause great pain and lead to needless deaths. We seek to eradicate hunger and to enhance health wherever possible, and draw on a range of carefully designed, effective projects and programs to aid those who need it most. 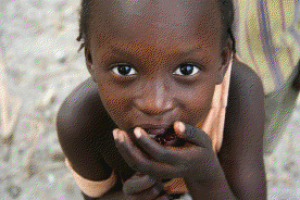 Initiatives on the WideAwake.org website to which donors can give aimed at stamping out hunger make a huge difference in the lives of those struggling to get by on way less than enough to eat. Our international partners work in some of the poorest areas on earth, where more than one meal a day is a luxury for many, and where a day without hungry rarely is seen. Projects supported by WideAwake.org seek to address hunger both in the short- and long-term. We meet the immediate needs of individuals, young and old alike, who don’t have enough to eat by providing meals, and we work toward more sustainable solutions by projects that, for example, teach people about important topics such as farming and nutrition. WideAwake.org likewise aids persons suffering from physical ailments by providing hands-on care, such as through free medical clinics and the gifting of medicines and treatment, and with a longer-term approach that focuses on education as a means to provide individuals the tools to lead healthy lifestyles. Our international partners do much in the way of lending a hand to those in their communities who need nourishment or physical care; WideAwake.org is proud to help them in this noble cause.